Post this Restroom For Customers Only Sign up at your local business to let those not shopping are not welcome to your public restroom. 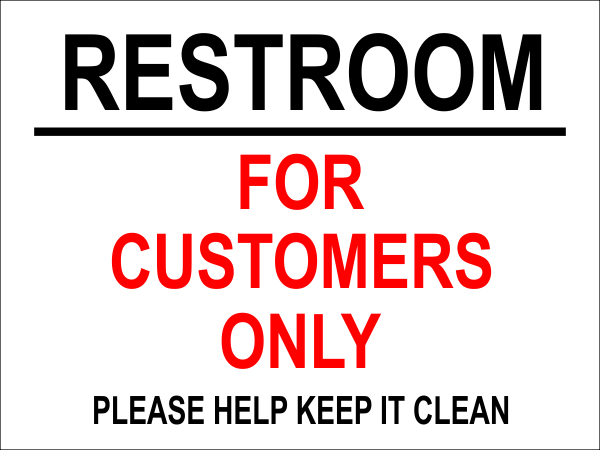 Add this 8" x 12" Restroom for Customers Only printed vinyl mounted to PVC plastic sign to your store wall to keep out unwanted visitors to use your facilities. Choose your backing for easy hanging. Most orders ship within 24 hours.